decide which blogs to be displayed at iSchool Featured Blog slider. 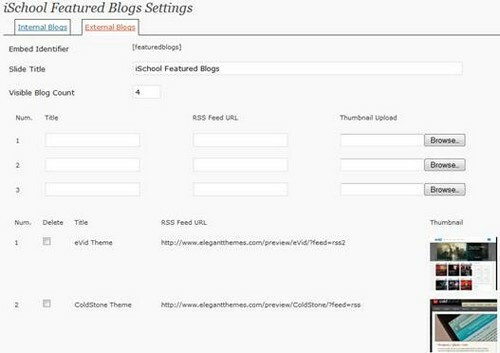 add external blogs in iSchool Featured Blog slider. For more information, please refer to How to Display iSchool Featured Blog?